Merritt was supposed to be an Aries, due April 8. 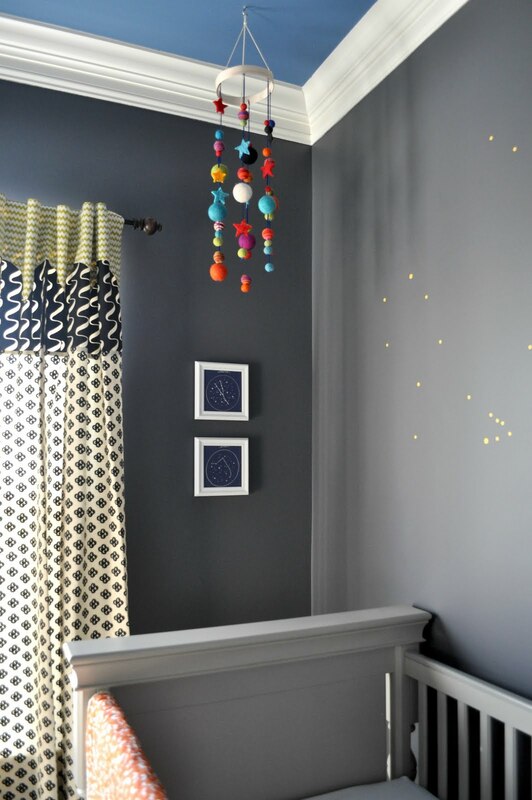 To complement the space theme we stenciled the Aries zodiac on his nursery wall, among other constellations. 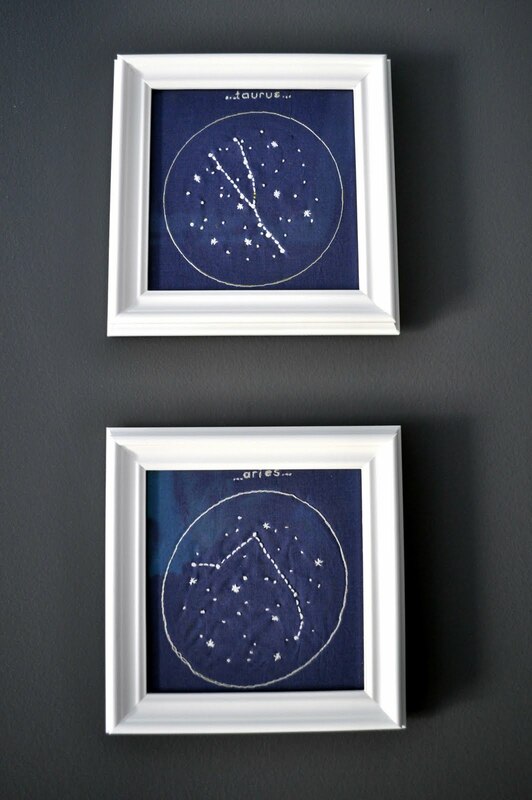 Two of his Grandmothers, Tippy and Nan, each cross stitched a zodiac for the room as well--a Taurus for Roscoe and an Aries for Merritt. The zodiac was such an integral aspect of his nursery design that it dawned on me a few hours after Merritt was born, the details with which we had personalized his space in the house were now inaccurate. As it turns out Merritt was born a Pisces. So his Tippy cross stitched a Pisces replacement and I planned to get the three constellations framed as part of Merritt's story. A few months went by and while we were at the beach this Summer, Nan pointed out that she wasn't so sure that Merritt was a Pisces, after all. She was confident that he was an Aries, after all, which I disputed but then conceded that I may have been wrong considering my state of mind just after his birth. I double checked a few days ago and, to my dismay, Merritt is neither an Aries nor a Pisces. Born on February 18th he is an Aquarius. Sigh. Nonetheless, we have two very lovingly cross stitched signs adorning Merritt's wall. Ha! That is funny! LOL! And while they had no meaning before, this funny little story now gives them great meaning!